A companion parrot is to a bird lover what a favorite lapdog is to its owner -- a friend through thick and thin. 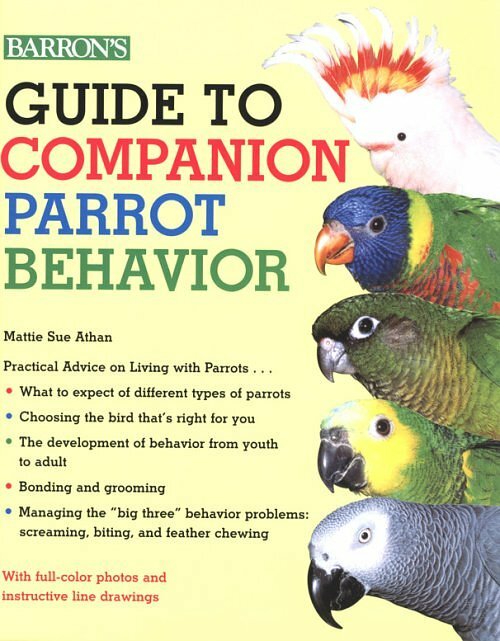 This book offers a wealth of advice on such topics as choosing between a young parrot and an older bird, selecting and training a talking parrot, modifying some of a companion parrot's behavior traits and periodically reinforcing behavior changes, keeping the bird groomed and away from household safety hazards, and virtually all other aspects of care. The author, a respected parrot expert, discusses ways of coping with occasional problems that include excessive screaming and feather chewing, and describes general differences in behavior among various companion birds, budgies, lovebirds, cockatiels, macaws, Conures, lories and others.